Automation Region participates for the first time at the Hannover Messe, the world’s largest industrial fair. 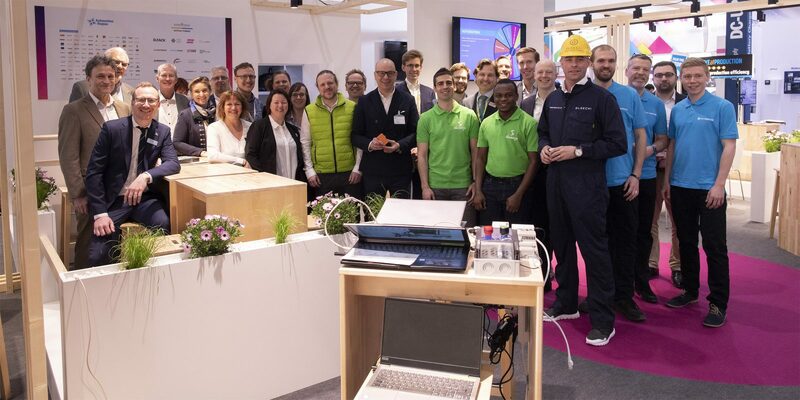 Together with the Swedish Exhibition & Congress Centre and 10 Swedish companies have they built up a Swedish automation pavilion for Swedish expertise, collaboration and innovation. “At the Hannover Messe we meet many clusters, partners and world-leading companies that we want to start collaboration with. We have many meetings booked from all over Europe,” says Daniel Boqvist, project manager at Automation Region. The interest from Swedish companies to attend at the Hannover Messe has been huge. All in all 160 Swedish companies are attending, 10 of them are at the Swedish automation pavilion. “We have everything from small startups to large companies with several hundred employees. They all stand for innovative technology and are at the forefront of innovation,” continues Daniel Boqvist. Below, the Swedish companies briefly comments their expectations at the Hannover Messe. Ekkono develops software for edge machine learning – the gathering and analysis of data straight onto connected units in an IoT network. “Since we have excellent customer references and experience of working together with major companies, we feel we are well-prepared for the German market. 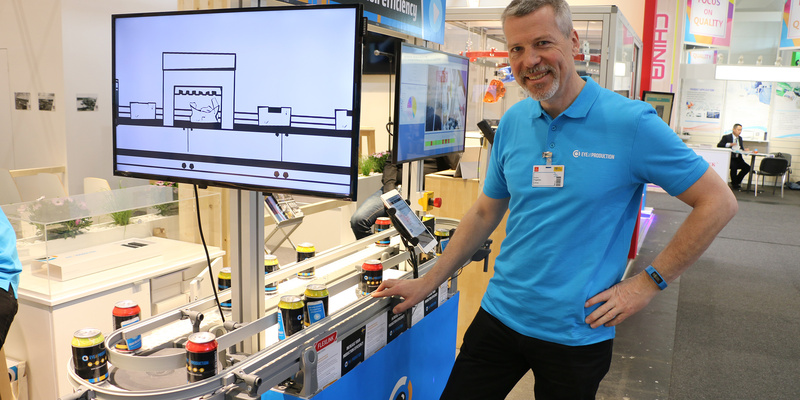 We are primarily interested in getting in touch with companies working with industrial IoT, where our software can be used to make connected components smart,” says Jon Lindén, CEO at Ekkono. Gleechi is developing software that can make realistic representations of human hand movements and natural grips in a virtual environment. “Based on the position of the person’s hand and how the hand approaches the object, the software understands the person’s intention and adjusts the animation of the grip,” explains Jakob Johansson, CEO at Gleechi. “We have carried out pilot projects together with several large companies in Sweden. Participating at the Hannover Messe feels like a natural step in the development of our company,” says Jakob Johansson. Virtual reality at the Gleechi stand. Using active tags, sensors and cloud-based data analysis, the company H&D Wireless develops solutions for smart indoor and outdoor positioning. “Our solution can show where materials, equipment or people are, where they are going and at what speed – all in real time,” says Pär Bergsten, CEO of H&D Wireless. “We find ourselves in an expansive phase in a growing market. 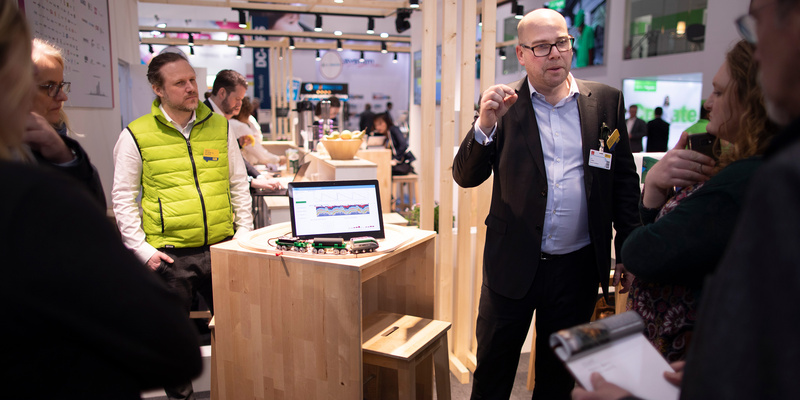 At the Hannover Messe, we look forward to meeting large manufacturing companies where our solutions can contribute to efficiency and digital transformation,” says Pär Bergsten. LumenRadio develops built-in software for the reliable wireless connection of products in industrial environments. “At the trade fair, we will present a live demo with a unit that records all existing radio traffic and another unit which finds gaps and sends data. Our main goal is to make contact with OEM companies which may benefit from our solution,” says Christian Sahlin, sales manager for industrial customers at LumenRadio. Christian Sahlin, sales manager, LumenRadio. Simumatik is developing a software programme to create digital twins, i.e., a digital representation of a machine or an entire production line. The company focuses in particular on twins for virtual deployment, improvement work and the training of operators. 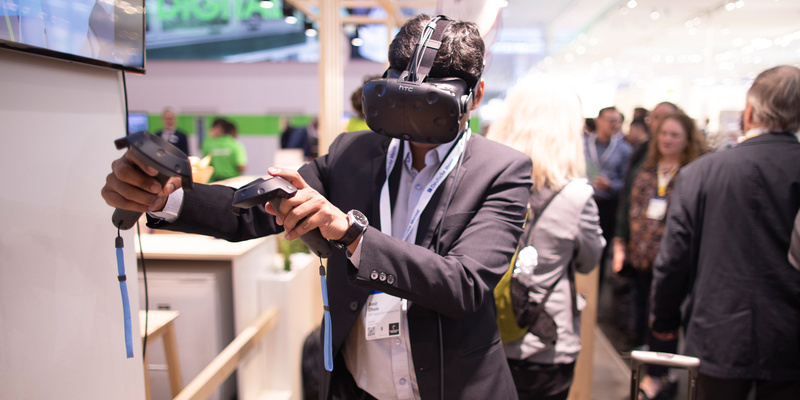 At the trade fair in Hannover, Simumatik hopes to come into contact with component manufacturers in order to discuss the possibilities of an open format for digital twins. says Mikel Ayani, CEO at Simumatik. Unibap offers innovative automation solutions for smart industry that combine vision systems, AI, Deep learning and robotics. One of the company’s areas of business is automatic quality inspection. “We want to increase our presence on the German market through partnership and strategic collaboration,” says Robert Nyberg. “The Hannover trade fair is the perfect arena for us and we look forward to many interesting meetings and discussions,” says Robert Nyberg, marketing manager at Unibap. Stylaero develops algorithms which combine sensor data in order to solve challenges in the industrial sector. These include positioning problems, collision prevention, detection of changes or quality control. The company has its own patented sensor system which is based on changes in the static magnetic field. “At the trade fair, we will demonstrate magnetic positioning and talk about the areas of use and benefits we envisage. We are going to encourage the people who come to our stand to challenge us with concrete problems. Our goal is to make contact with major industrial companies or with product developers in the industry,” explains Jörgen Nord, CEO at Stylaero. Simplex Motion develops an integrated servomotor with patented sensor technology that makes it smaller and cheaper than competitive motors. ”Servomotors are generally quite expensive but our integrated solution enables us to offer high performance at a competitive price. Our goal at the Hanover Fair is to meet new customers and retailers, both within Europe and globally,” says Mikael Rittander, CEO of Simplex Motion. Eye At Production is a cloud-based service which enables manufacturers to better monitor their production and processes in a simple and effective manner. ”We are here to show our system that can streamline a production flow through visualising the problems. 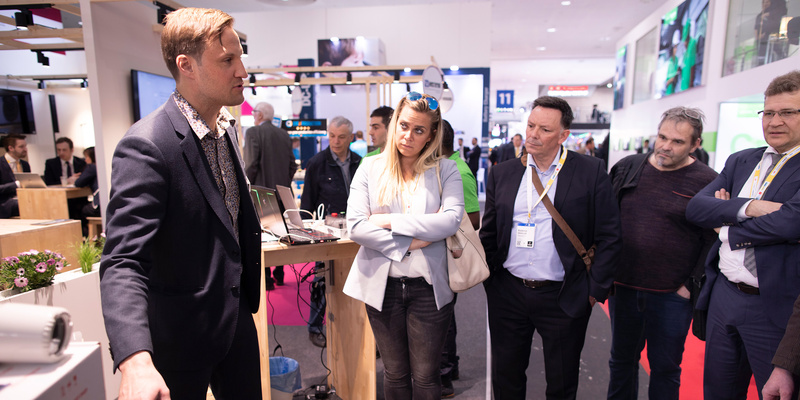 But it is also important that we can collaborate with other companies at the fair,” says Anders Tingström, CEO. Anders Tingström, CEO , Eye At Production. Westermo provides a full range of industrial data communications solutions for demanding applications in the transport, water and energy markets among others. Westermo has local presence in more than 35 countries. “We are members of Automation Region and are happy to promote that network so we are glad to join here just for that. It was also quite easy for us to be involved because everything is so well arranged,” says Mats Myhr, product manager at Westermo. Text and photo: Stefan Hollertz/Mikael Hansson.